If you have leftover materials from a recent renovation or just want to try a fun and affordable new project, consider making crafts using slate roofing tiles. In many areas, homeowners top their roofs with overlapping pieces of slate. The dark stone absorbs heat and sheds moisture, making it an efficient and popular roofing material. Often, when you have your roof replaced, you may find yourself with some extra tiles on hand. You can use these tiles to create beautiful home decor items or practical gifts for friends and family. If you don't have a slate roof, you can still find individual slate roofing tiles at your local home supply center. You may also consider using a reclaimed slate tile from a building that is being demolished. This is a great way to preserve the history of the building by reusing the tile in a creative way. If you have a slate roof, this plaque can offer a unique way to coordinate your roof's color scheme on the exterior of your home. To get started, put on the eye protection, and wrap the slate tile in the old towel. Use the pliers to break off small pieces along the edges of the tile. The towel will help protect the tile from scratches during this process. Check your progress from time to time, and stop when the tile has an attractive aged look. In a well-ventilated area, mix up the epoxy. Spread epoxy on the back of the house numbers and arrange them on the tile. Press evenly over the surface of the numbers to make sure they adhere completely. Allow the tile to dry. Use more epoxy to affix hanging hardware to the back of the slate tile. When the tile is dry, hang it by your front door. You can bring the natural look of slate roofing tiles into your home by making a trivet for your kitchen. The slate surface will help protect your dining room table from hot pans and dishes. 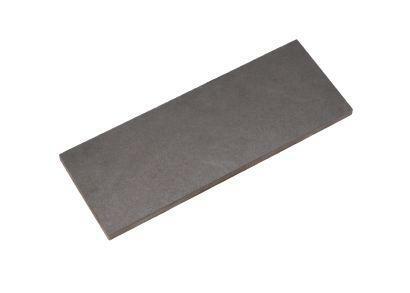 Use the sandpaper to remove any rough edges from the slate tile. Since you'll be handling this trivet often, you want to make sure it won't cut anyone. Paint an attractive design on the tile using the craft paint. Consider natural motifs like pine boughs, leaves, simple flowers, or lake scenes. Allow the paint to dry completely, and then spray the entire tile with the varnish. Be sure to work in a well-ventilated area. Allow the varnish to dry. Apply spray adhesive to the back of the cork tile, and affix the cork tile to the back of the slate. Use a craft knife to trim off any excess cork. This mirror makes an attractive gift or a welcoming addition to your foyer or mudroom. Mixing the rough texture of the slate with the shiny mirror surface creates an interesting focal point. Mix up the epoxy, and apply a thin layer to the back of the mirror tile. Carefully adhere the mirror tile to the slate, leaving a wide margin above the mirror. Allow the epoxy to dry completely. Use the craft paint to write your family's name on the margin above the mirror. Alternatively, you might paint a message like "Welcome." Once the paint is dry, use the epoxy to attach the hanging hardware to the back of the tile. Use small slate tiles to make coasters. Decorate a slate tile to make a welcome sign for outside your home. Use slate tiles to accent a patio or flower garden. Use a clock kit and a drill to create a slate tile clock. Regardless of which slate tile craft you select, you'll enjoy the rustic beauty this material brings to your home.